This review is about item#38043406. The one I bought before was a side paste, but this one replaced the center pasting. Characters are difficult to write because the pasting position will come where you write your address. I chose it because it is cheap. Since it prints with a laser printer, in fact, black streaks do not easily appear on the sticking side Although sticking on the side was good, it is inevitable if you think about the price. 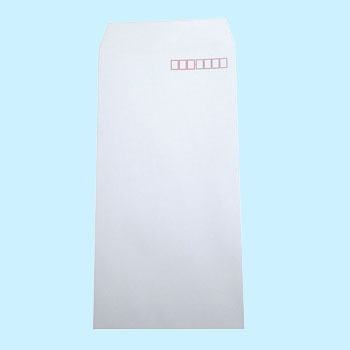 Although paper quality is slightly thin compared to the products of domestic products that I used to date, it seems to be a level that can be used without problems. Especially it can be used without problems. With the relationship that made a color logo for postal payment It is a change from a tea envelope as it becomes a white envelope. I purchased the document for the first time for use when shipping. I feel that paper quality is a bit thin, but because it is light as much It can be shipped within 25 grams. I think that contents are transparent so it is good. It is good because it is inexpensive instead of being specially good. The price is affordable, there is almost no sense of sheer, easy to use envelope. This review is about item#38043415. With an easy-to-use envelope, you can fold the A4 in three, there is plenty, it is very handy. Used for envelopes to put invoices. We use bills as envelopes to send invoices. Printer - If it is easy to print it is satisfied. It is used at times other than corporate envelopes. It is a consumable item and it is saved at a low price. There is also sheer transparency as it has paper thickness, so it is handy. The paper is also pretty solid. There is also a feeling that the thickness is a little thin, the inside seems to be transparent as the color is white, I think that it is a very good product in terms of cost. We are using invoices, documents for mailing. The price is also cheap so it will be cost saving. Because the paper is thick and durable, I think that the document of contents can not be transparent and it is very excellent. I bought it with reference to the review, but inside can not be used for shipping invoices through. I'm sorry. I usually use it for shipment. I do not know whether the frame is shifted because it is not directly printing, but as an envelope it is fine, COSPA is also excellent and I am satisfied.